BUY MORE GET MORE FREE / COMBINE SHOP + QOO10 COUPONS FOR DOUBLE SAVINGS!!! Going forward from Nov 2018, we have changed the packaging of Collagenerous to a handier and lighter tube. The formula remains the very same and retains its effectiveness as you have always experienced. Please let us know what you think and I stay available to help with any queries. Combine our shop coupon together with Qoo10 cart coupon for more savings! 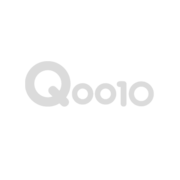 Don't forget to grab your Qoo10 cart coupons from right on top this page! Simply purchase $50 or more to enjoy Free Shipping. Spend on quality products, not shipping fees. See your Skin—Transformed in just 15 days. Fine lines–Gone, Wrinkles–Reduced, Redness–Soothed leaving you with visibly youthful, firm and radiant skin from the inside out. Highly Recommend written by mobile Can’t wait to try it! Item received in good condition and it’s well packed. Hope it’s good for my skin. Thanks seller! Quality product with quality service! Happy and satisfied customer. This is my 2nd purchase, very good product and fast delivery. Thanks! Fast delivery and there is a personalized message from seller. Hope the product works! Have not try yet! Hope it works..
My second order. The product really works. My wife feels I look younger and handsome. Also thanks for the gift. Would really be helpful when I am traveling. COLLAGENEROUS now comes in a tube! APPLY Qoo10 + SHOP COUPON TO SAVE MORE! < COLLAGENEROUS > INGREDIENTS :- AQUA (WATER), DIMETHICONE, POLYACRYLATE-13, PROPANEDIOL, CYCLOPENTASILOXANE, HYDROLYZED COLLAGEN, SILYBUM MARIANUM SEED OIL, CAPRYLIC/CAPRIC TRIGLYCERIDE, POLYISOBUTENE, GLYCERIN, CYCLOHEXASILOXANE, HYDROLYZED VEGETABLE PROTEIN, ETHYLHEXYLGLYCERIN, ALLANTOIN, CHLORPHENESIN, TREHALOSE, XANTHAN GUM, POLYSORBATE 20, DISODIUM EDTA, LAMINARIA OCHROLEUCA EXTRACT, METHYLGLUCOSIDE PHOSPHATE, SODIUM CARBOXYMETHYL BETA-GLUCAN, PENTAERYTHRITYL TETRA-DI-T-BUTYL HYDROXYHYDROCINNAMATE, COPPER LYSINATE/PROLINATE, SODIUM BENZOATE. < EAUPHORIA > INGREDIENTS :- AQUA (WATER), ROSA DAMASCENA FLOWER WATER, PROPANEDIOL, NIACINAMIDE, GLYCERIN, METHYL GLUCETH-20, POLYSORBATE 20, HYDROLYZED VEGETABLE PROTEIN, CARBOMER, ETHYLHEXYLGLYCERIN, CHLORPHENESIN, TREHALOSE, DISODIUM EDTA, SODIUM HYALURONATE, SODIUM HYDROXIDE, SODIUM BENZOATE. I remain available to help if you have further queries. If i purchase the attached 2 sets of items, would u b able to send me the deluxe set of samples worth 48 too? I stay available to assist. I have ordered the 2 sets and hope you can send me more samples to let my aunts try. My mum pigmentation was greatly lighten and almost cleared and thus she like to share it with her sisters. Haha. Thank you for your orders and helping us spread the love! I'm glad to hear the products are working well for your Mum. I will be sure to include some extras with the package as well. We will send you an update once the package goes out tomorrow. eauphoria moisture lotion is to be used as the last step as a moisturiser? In our local climate, most people find their skin become well moisurized after applying Eauphoria and Collagenerous. Alright got it..thank you so much. Will proceed to purchase. Fyi mine is combination skin. In your promotion..we are entitled to purchase e moisturising lotion at $15 plus. So in this case i no need to purchase e moisturising lotion. Just buy Eauphoria and Collagenerous first. Am i right? Apologies for my late reply! Indeed you can purchase our Power Duo(1 COL + 2 EAU) for a start. Alternatively, you may opt for our 1+1 COL bundle. Then add-on Eauphoria by selecting in drop-down menu - SAVE $1.88 WHEN YOU BUY 2-TUBES! [30ML x 2](+S$29.88). This gives you 2 COL + 2 EAU for $79.88. Hi if I place order today when will I be able to receive it? For an order placed today, you can expect to receive it by this Thursday or Friday. I'm happy to help if you have further queries. Thanks! I had just place my order. I will send you an update once the package goes out today. [TOSOWOONG]Propolis Ampoule100ml - Essence60ml / No harmful ingredients!